It’s definitely worth coming to NTU as there’s so many opportunities such as placements and societies to take part in. It’s an amazing university and a vibrant city that I love living and studying in. We currently don't offer this course anymore. We do however offer a range of other undergraduate Childhood courses. "I went to an Open Day and spoke to the staff who were very friendly about the course. The course sounded really interesting and being from Manchester, Nottingham as a city looked like a great place to study." 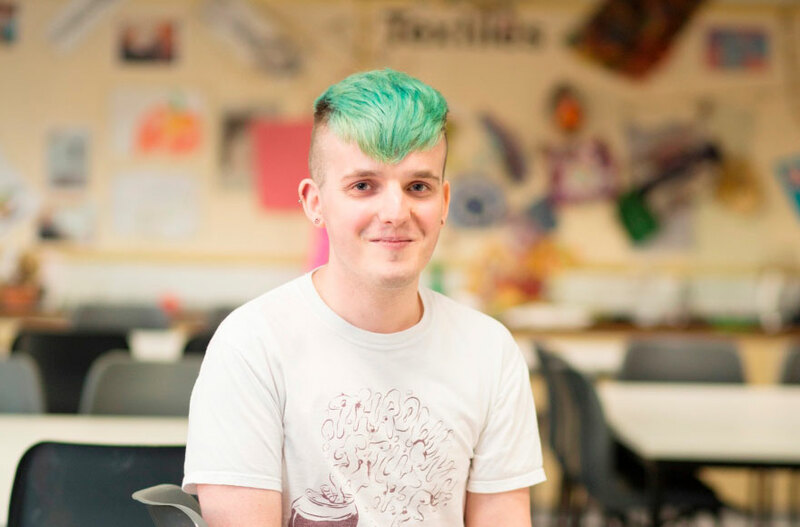 "In my first year I worked in a reception class in Radford Primary School. It was really interesting to take the theory I’d learned in class and put it into practice. I was slightly nervous at first but the experience as a whole helped grow my confidence." "In my second year I worked in a Special Educational Needs school in Romania. It was challenging but very rewarding and gave me an insight into different teaching approaches in the UK and Romania." "Alongside the placements that have been invaluable, the course is geared towards employability with modules that give us volunteering and research opportunities. Due to what I’ve learned and the experience I’ve gained from this course, I feel confident towards starting my career." "Being a student at NTU is a very enjoyable learning experience. It’s a great city with lots to do and there’s a wide range of societies to choose from. I’m a member of the rock society and the mountaineering society which I have made lots of friends from." "I originally studied Chemistry, however I realised it wasn’t for me and wanted to change course. The support staff at the university were all very helpful and ensured that changing course wasn’t stressful for me." "The teaching staff are very approachable, friendly and knowledgeable. They each have their own specialities which is very useful especially during my research dissertation." "It’s definitely worth coming to NTU as there’s so many opportunities such as placements and societies to take part in. It’s an amazing university and a vibrant city that I love living and studying in."